It's a while now since I visited Almagro but I clearly remember the awe of rounding a corner into the Plaza Mayor. 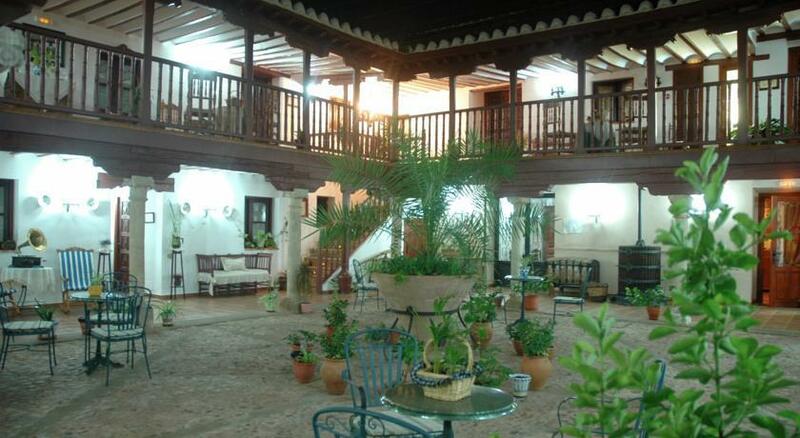 An enormous rectangle of stone arches, porches and green-painted wooden balconies. I'd wanted to go for a while as one of my sons had been on a school trip and said it was quite cool, that meant I'd find it really interesting. The medieval square, Plaza Mayor was like in most towns in Castilla-La Mancha the town centre, this one is a Historic-Artistic Site near Ciudad Real. The town's history is linked to the history of its Open Air Theatre, a National Monument and the main reason for the school trip. Dating from the Golden Age of the 16th century when theatrical shows were performed. Its galleries, stage and dressing rooms can be visited and every year the International Classical Theatre Festival is held here and on street stages as in days gone by. Almagro was closely linked to the politically important Calatrava religious order importance during the Middle Ages. The Catholic King Fernando incorporated the goods of the Knights of Calatrava into the Crown of Castile which began their decline. The town attracted bankers to the King and became very properous leaving the wealth of fabulous old buildings, palaces and coach houses. 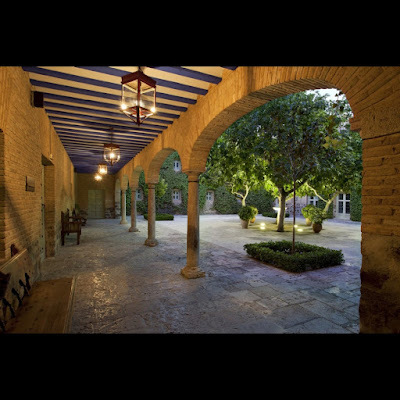 One typical tradition house is home to the National Theatre Museum, with 18th century theatrical costumes, model theatres and stages and the former Convent of San Francisco is now a Parador Hotel. From Almagro you can visit the lakes and islands in the Las Tablas de Daimiel National Park or the important wetlands of Lagunas de Ruidera. 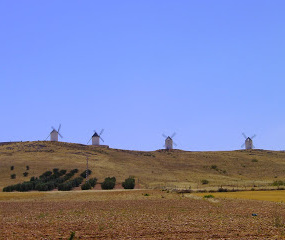 And of course not forgetting what La Mancha is most famous for - Don Quixote and the windmills. 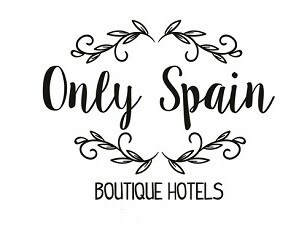 Where to Stay in Almagro? One of those lovely old 16th century houses of course, now the boutique hotel Posada Los Caballos and this one also has traditional clothes of the day so you can dress up and be photographed in them. Does that put Almagro on your list? I'd definitely go back. 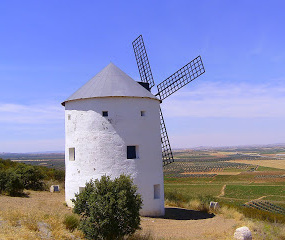 Almagro is one of Spain's Prettiest Towns network.